What I do, and what you can give….. I have been blessed with the gift from God to heal others through “Angelic Healing Touch”. I have been recently launched through another spiritual door, to stop denying who I am and what my capabilities are. I opened my mind to receive, follow and “follow through” with what God has been asking me to do for a LONG time. It has given me more than I can ever tell you in words. Although it “gives to others” I feel as if I receive more than I ever expected. A new energy that I never imagined has entered my world. My amazing husband, best friend, and partner in life, (Brian) is right on board. He is supporting me and loving me through this, just like all of the other crazy beautiful things we have gone through together in life. That means the world to me. No one else’s opinion matters to me more than his. So what exactly is “Angelic Healing Touch”? It consists of the person willing to receive peace, knowledge, and tools to go forward through this path on Earth. I am only but a “cell phone”, relaying information from God to the person I am working on. My hands are guided to “HOT SPOTS” on the body to remove negative energies, dead spots in energy fields, or to jump start the energy areas that are stuck. Then I am guided through an Archangel Card reading that will give assistance and guidance for the recipient to forge ahead on their path of discovery and renewed energy. Angels appear in every single religious realm exposed to man. Catholicism, Muslim, Buddhism, Kabahlah, Judaism, etc…. 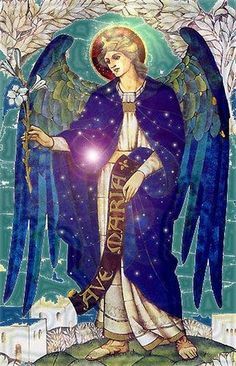 all of these conformed religions refer to Angels on a healing level of respect, love, delivery of Divine messages, and protection. My Lord and Savior, Jesus Christ, happens to be my direct connection to The Other Side and to eternity. I do not choose to judge, argue or repeal others belief systems. I want to share the love and healing abilities that God has blessed me with. Simply said and shared. I love to love others and to share the Love of God, His Son, His Band of Angels, and give it to all I can come in contact with. I only ask that you all look inside of yourselves and see what your gifts are. How you too can help others while we are here. Pay something forward…. Smile at someone you see on the street, or just simply ask your friend or neighbor what you can do for them to make their world a better place. It is the LITTLE things that make a BIG difference. Live every day as if it were your last one here. < Previous Watching over us…..
Next > Grace…… What does it really mean?